Great directors are ones who thrive even when making films in genres they’re not particularly familiar with. Science fiction is a great one to test a director’s mettle because films in this genre could so easily be dismissed as mindless spectacle that they have to bring something special to the table to convince people otherwise. Here are 10 directors who knocked it out of the park with their first sci-fi film. They may not have been able to sustain that success in follow-up sci-fi entries, but that just makes their first attempt shine even brighter. The closest Richard Donner came to directing a sci-fi film before Superman: The Movie was 1961’s X-15. But that was more of a historical drama about the brave men early in the space race testing new aircraft than an otherworldly adventure. Also, he directed the famous 1963 Twilight Zone episode “Nightmare at 20,000 Feet” starring William Shatner as a passenger who keeps seeing a creature on the wing of an airplane in mid-flight. He directed numerous other TV show episodes and TV movies before finally hitting it big with the horror film The Omen (1976). 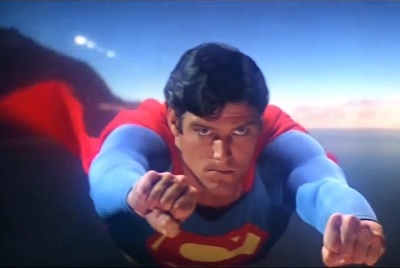 That led to Donner directing Superman and most of Superman II, and the rest is history. His one other entry in the sci-fi genre was the fairly disappointing adaptation of a Michael Crichton novel, Timeline. But that doesn’t change the fact that we have him to thank for the birth of the superhero film. Before being tapped by George Lucas to direct the first sequel to Star Wars, Irvin Kershner had never come close to directing a science-fiction film. And he had been a film director for more than 20 years. Most of his films were dramas and comedies with a few thrillers sprinkled in. Nothing about him screamed “space opera” material, and yet he turned out to be the perfect man for the job of directing The Empire Strikes Back, still considered by many (including yours truly) to be the best in the Star Wars saga. Sadly, Kershner’s success didn’t last. He only made two more films: The okay James Bond film Never Say Never Again and the sadly lackluster RoboCop 2. 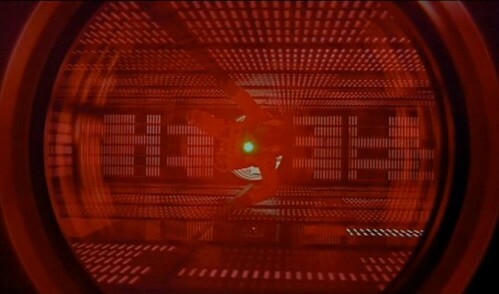 I’m one of those people who thinks that 2001: A Space Odyssey is an example of the Emperor’s New Clothes where most people praise it because everyone else is praising it, not because they really understand it. But I can’t deny the film’s arresting visual style and its cultural impact. Kubrick’s career never really followed a linear path. He did whatever sparked his interest, from war films to dark comedies, and sometimes both at the same time. 2001 was his first sci-fi film. His next film, A Clockwork Orange, contains some elements of sci-fi, such as its futuristic setting and unique psychological torture of the main character. I’d say 2001 is the better of the two, but they’re both considered classics – emphasis on “sick” for the other film. In the late ‘70s and early ‘80s, Ivan Reitman had become pretty successful directing Bill Murray comedies Meatballs and Stripes. Then came Ghostbusters, and nothing would ever be the same. That movie perfectly blended fantasy, sci-fi, and comedy in a way that had never been seen before. Unfortunately, Reitman was never able to duplicate his initial sci-fi success. His other movies in the genre, Ghostbusters II, Evolution, and My Super Ex-Girlfriend, are a mixed bag. But that doesn’t take away from his initial brilliance. Ridley Scott had a humble beginning, directing a few TV show episodes in the ‘60s and commercials in the early ‘70s. In 1977, he directed his first film, The Duellists, about military commanders during the Napoleonic Wars. 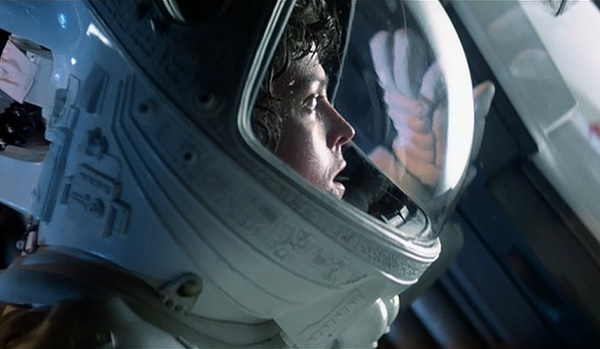 That got the attention of the producers of Alien, and he got the job directing that landmark sci-fi horror film. He followed that up with the equally enthralling Blade Runner, but he didn’t return to sci-fi again until 2012 with the quasi-Alien prequel Prometheus, which left a lot of his fans scratching their heads. We’ll see if he can regain his master’s touch with this year’s The Martian. Also, he’s producing sequels to Blade Runner and Prometheus, so we’ll see how those do, as well. Most famous for directing John Wayne’s swan song The Shootist in 1976 and the classic Clint Eastwood films Dirty Harry and Escape from Alcatraz, Don Siegel was a master of suspense and drama. That’s probably what attracted him to the original Invasion of the Body Snatchers. He never did another sci-fi film after this one, but he only needed to do one in that genre to make his mark. The remakes of that film have their good points, but there’s no beating the original. 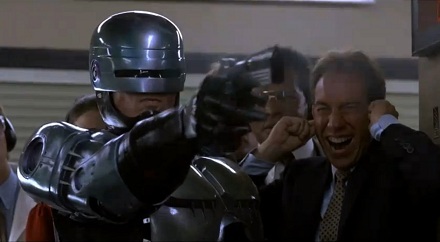 RoboCop was Paul Verhoeven’s first and best American film. Before that, he had made many films in his native Netherlands starting in the ‘60s. RoboCop was his first foray into sci-fi and American culture, but he handled both like a seasoned pro. His other films in the genre include Total Recall (a film almost as awesome as RoboCop), Starship Troopers (mediocre, despite its cult following), and Hollow Man (so bad that it ended Verhoeven’s career as a big-name director). Fred M. Wilcox made a name for himself directing two delightfully sappy Lassie films in the ‘40s, as well as the 1949 adaptation of The Secret Garden. But it’s 1956’s Forbidden Planet that immortalized him as a filmmaker. Starring a stoic Leslie Nielsen (decades before he turned to comedy), Forbidden Planet offers a Twilight Zone-esque cautionary tale of the dangers of technology in the hands of fallible human beings. It also has some cool special effects and, of course, Robby the Robot. Sadly, Wilcox only made one more movie after this one before he died. After a decade of directing dramas, Robert Wise decided it was time to show the world what he could do by making The Day the Earth Stood Still. That brilliant antiwar movie still holds up today as an example of sci-fi at its best. Wise went on to direct the hugely successful West Side Story, The Haunting, and The Sound of Music in the ‘60s before returning to sci-fi with 1971’s The Andromeda Strain and 1979’s Star Trek: The Motion Picture, both of which are guilty pleasures of mine. Through it all, The Day the Earth Stood Still is still his best. Robert Zemeckis had been writing and directing films for years before he finally got his big break with 1984’s Romancing the Stone. 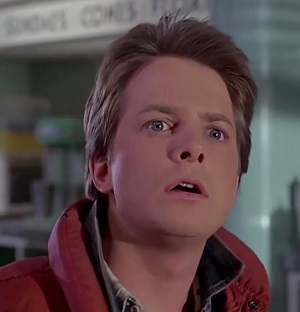 After that film’s surprise success, he could have done whatever he wanted, and he chose to return to an old idea he had been working on with co-writer Bob Gale called Back to the Future. Needless to say, that turned out to be the right choice. Two excellent sequels followed and then came 1997’s thought-provoking Contact. While Zemeckis hasn’t exactly done any sci-fi in the past few years, he could always go back to his roots. I love it when people get out of their comfort zone a little and try something new. Imagine if the directors listed above had stuck to what they were known for at the time. We might have been robbed of Back to the Future, Ghostbusters, RoboCop, and any number of other fantastic films. This entry was posted in Random Stuff and tagged 2001 a space odyssey, action movies, alien, back to the future, don siegel, empire strikes back, films, ghostbusters, irvin kershner, ivan reitman, movie review, movies, paul verhoeven, richard donner, ridley scott, robert wise, robert zemeckis, robocop, science fiction, sequels, stanley kubrick, star wars. Bookmark the permalink.